Using my home staging advice will get your home sold more easily in Plantsville. Perrella Realty, LLC. can help you create a welcoming atmosphere that makes buyers to want to stay  permanently. Give me a call at 860-621-7130 and I can help stage your home to sell. Professional home staging is a surefire tactic used to sell a home here in Plantsville, Connecticut. 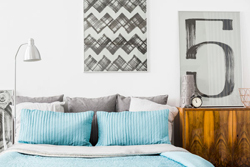 Some advantages to home staging include less time on the market and better offers. If your goal is to sell your house quickly, think about a well-planned approach to home staging. Home staging is part of preparing your home for sale. Staging focuses on your home's presentation to buyers while highlighting the details of your home with thoughtfully placed furnishings and pictures so that your home feels more open and buyers can imagine living in your home. Curb appeal is your best chance to create a positive impact on buyers from a street perspective. The positive and negative features that jump out at buyers create their first opinion of your home and how you upkeep house's regular maintenance.Understanding this assists us in determining what actions we can take to invite buyers from the street and into your home. If your house isn't the best it can look on the outside with refreshed paint and bright greenery it's time to get those things done. 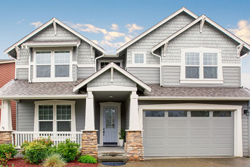 Follow the Curb Appeal Checklist and boost your house's final selling price. Does your home seem to say, "Hello From Your New Welcome Home" to a buyer? Walking-through your house with a critical eye, I'll suggest changes that build up Open House appeal. I'll suggest that you put in storage pieces that give the look of clutter. Tabletops should be clutter-free. Arts and crafts, souvenirs, family photos, and kids' artwork should get stored away too. You need to remove the personal details from the house so buyers can envision it as their new house. Every room gets a once-over. I'll note the pieces of furniture that should be removed, rooms that need new paint, carpet needing to get changed, fixtures that could use polishing, and any other improvement that can quickly be made to positively impact the sale. Potential buyers like to see a property that brings them inside. Anything that could be "offensive" should be put away in order for your property to have general appeal during any visit. I'll tell you when to show your home, because everything comes together to create a picture of what buyers can expect after they choose to buy your house. Brightening up each room is of major importance, so we'll do things like part the curtains and change light bulbs where needed to invite the buyer inside. Together we'll enhance the ambiance with enjoyable music to listen to while guests experience your home and assure a pleasing fragrance flows from every room. We'll add cozy-looking bedspreads, and place pillows on your sofa and bedding. Buyers should feel like your current home has the potential to be.